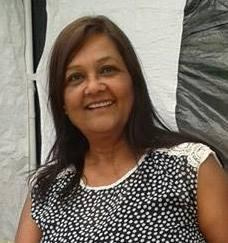 Pragna qualified as a Beautician in 1981 and has since learnt flower remedies, body massage and reflexology. Then she came across Pranic Healing in 2013 introduced to her by a friend. She had been searching for a long time for some kind of Complementary therapy where she could help people and make a major difference to their lives with the healing. She decided to enrol on the level 1 course and learnt many life-changing techniques that worked so well that she started to experiment further with her new-found knowledge. Apart from the physical healing, she learnt how to manage her own energy levels so now does not get “angry” and is able to stay de-stressed most of the time, despite challenges of her family life! With some of the techniques learnt, she is also able to forgive people easily, which takes the weight of the world off her shoulders, making her a lighter, happier person! She now helps her family with their anger and resentment issues as well. Pranic Healing has become a way of life for Pragna now and she regularly volunteers at Pranic Healing Wellbeing events and Healing Clinics. Pragna also volunteers at “Community” events. Please see icons to the left for ways to contact Pragna.